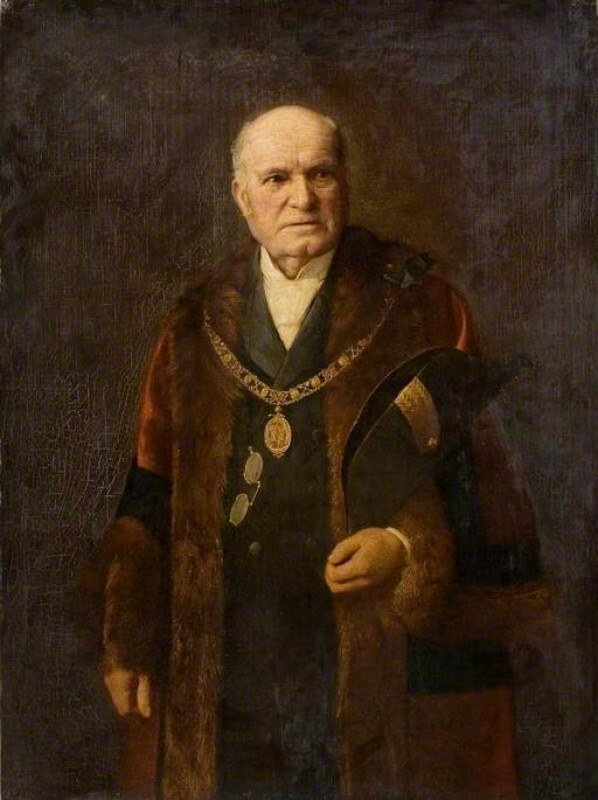 Al Brown enquired as to whether an unsigned portrait at Peterborough Museum & Art Gallery could be by Harry Clifford Pilsbury (1870–1925). It appeared to him strikingly similar to another portrait of Daniel Henry Redhead in Peterborough Town Hall. Grant Waters (Art Detective Group Leader for East of England) discovered two further portraits by Pilsbury in Peterborough, of Sir Frederick Royce and John Thomas Miller, commissioned as civic portraits in 1912 and 1914 respectively. Pilsbury lived in Whittlesea, Peterborough, at the time, and as a local artist, he was known to the commissioning authorities. The portraits are all 102 x 76 cm. Osmund Bullock agreed that the portraits appeared to be by the same artist, adding that Pilsbury was an art master at Oundle School, near Peterborough, who exhibited 16 works at the RA 1902–1924. Redhead was an alderman of Peterborough for 52 years, from the city’s incorporation in 1874, to the eve of his 90th birthday in 1926. In his will, proved 1927, he left the borough ‘a painting of himself as Mayor of the city’. Helena Hutchinson wondered whether the artist might have been John Frederick Harrison Dutton, her great grandfather, who was a pupil of Hubert von Herkomer. Barbara Bryant (Art Detective Group Leader for British Portraits: 19th C) replied, however, that the Pilsbury connection was conclusive. Richard Adams provided helpful information on Harrison Dutton and Osmund Bullock argued that there were circumstantial reasons why he was less likely to have been the artist. Waters brought the discussion to a close, noting the remarkable similarities of the two paintings of Daniel Henry Redhead, particularly the almost identical painting of the sitter’s hands. He proposed amending the artist from ‘unknown’ to ‘attributed to Harry Clifford Pilsbury (1870–1925)’. Is this portrait by Harry Clifford Pilsbury (1870–1925)?